SBA 504 Loans Program is offered by the St. Louis Economic Development Partnership through the United States Small Business Administration (SBA). We partner with the SBA and a bank or credit union to provide businesses with better financing options for their real estate or equipment purchases. The Partnership is authorized to make SBA 504 loans throughout the entire State of Missouri, as well as the Illinois counties located in the St. Louis metropolitan area. 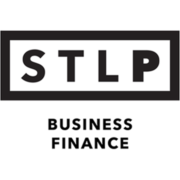 For more information call 314-615-7663 or email info@stlpartnership.com. Click here for current SBA 504 interest rates.